By Dr Finola Kerrigan, Reader in Marketing and Consumption at Birmingham Business School, University of Birmingham. Dr Chloe Preece, Senior Lecturer in Marketing, Royal Holloway University of London. Dr Daragh O’ Reilly, Senior Lecturer in Creative and Cultural Industries, University of Sheffield. However, despite Bond’s reputation, our research shows that by looking at the franchise as a whole we can see a clear evolution in the depiction of gender roles. In our recent paper, published in the Journal of Consumer Research, we reviewed all 24 Bond films produced by Eon Productions. 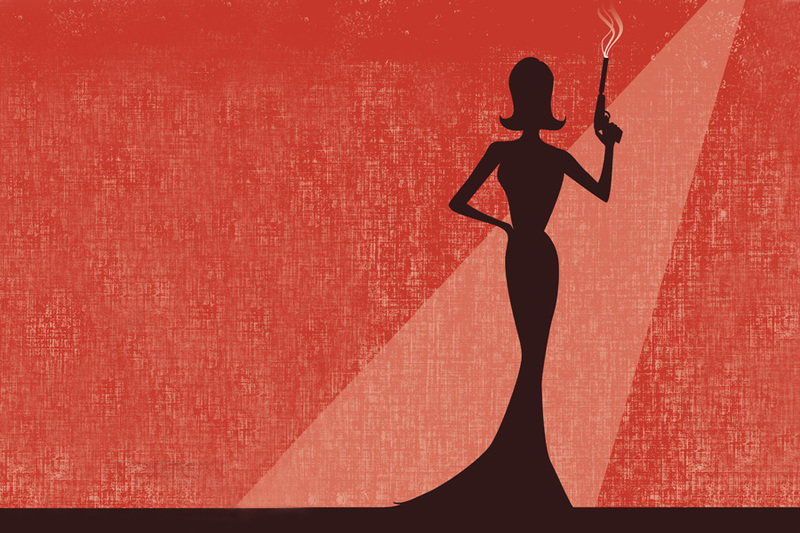 We found that despite popular views on Bond girls representing outmoded and overtly sexualised female stereotypes, an examination of the evolution of the Bond girl can help us to understand broader gender politics as they have evolved since the 1960s. Just as the Bond films have kept in line with developments on geopolitics and broader popular culture, the portrayal of women has evolved in line with gender politics. The early films such as the first feature, Dr. No clearly reflect the way in which women were written about in the source novels of Ian Fleming, as “objects of to-be-looked-at-ness” as, British feminist film theorist, Laura Mulvey put it. The original Bond girl, Ursula Andress emerged from the sea in her now iconic bikini, the Honey Ryder character gazed upon by Sean Connery’s Bond. As feminism gained more influence, the role of women shifted. As we found in our study, Bond ‘girls’ received more screen time as the franchise progressed and by 1979, Moonraker showcased Lois Chiles as a scientist rather than a mere fantasy figure. Ten years later Licence to Kill, saw Carey Lowell as leather-clad gunslinger Pam Bouvier, who was physically superior to the men that she fought on screen. However, character Pam is not just brawn; she uses her skills as a pilot as well as her fighting abilities. By 1998, Michelle Yeoh’s character Colonel Wai Lin in Tomorrow Never Dies was a woman capable of doing anything that Bond could, and was by no means subservient to Bond. Making our way through the films that span 57 years, we can map the portrayal of women to the waves of feminism, but just as the plots of the films do not follow a linear progression, the characterisation of women in the Bond films is not entirely progressive either. With scenes such as Halle Berry’s Jinx emerging from the water is reminiscent of Ursula Andress’ as Honey Ryder (later re-enacted by Daniel Craig himself in Casino Royale, 2006, the male body could equally be an object of “to-be-looked-at-ness”). But, while in earlier films, James Bond’s sexist treatment of women was tolerated or admired, later films see him being admonished by a female boss in the form of Dame Judi Dench who calls him a “sexist, misogynist, dinosaur, a relic of the Cold War” in Goldeneye (1995). While by no means a feminist ideal, the producers successfully diffuse sexist criticism by voicing it through the female authority figures. Similarly, Dench’s casting as M was not a radical act of feminist fantasy but followed real-life events as Dame Stella Rimmington held the position of MI5 director (the real-life M) from 1992 until 1996, a year after Dench took up the role. Again, we see art mimic life as debates on women in positions of power take centre stage. In this way, the Bond films have moved with the times. It is worth noting, however that they do not challenge the status quo, suggesting that despite media intrigue about a possible female Bond, this is unlikely to play out in the recent future. As debates on women in film and wider society continue to circle around representation, sexual exploitation, and equal pay, it is worth closing by noting that gender inequality in pay has not always been so. In 1968, Diana Rigg was paid more for her role in On Her Majesty’s Secret Service as she was a bigger star than the second Bond, George Lazenby. As women are still struggling to gain equal pay in the current Hollywood system, we can learn a lot from taking a sequential analysis to the Bond films. It seems that the path to equality is not a straight line. Next Next post: Ted Baker: trying it on?